Mecca Bodega is a percussive driven band from New York City featuring imaginative rhythmists Marc and Paul Mueller. With seven CD releases and extraordinary live performances, they continue to create a unique, hypnotic sound that is fresh and challenging to the ear and spirit. Mecca Bodega's new CD "Skin," on Harmonized Records includes high energy performances by Djembe master Dr. Djobi and French Horn player/keyboardist Alex Brofsky! 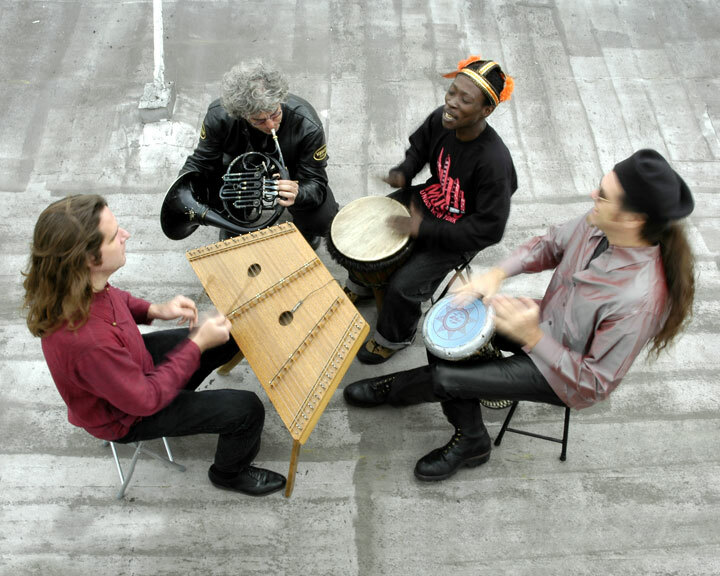 The instruments featured on their compact discs and movie scores range from African drums and Brazilian percussion to hammered dulcimer, found objects, guitars, didjeridoo, and voice. Mecca Bodega is a part of the Music Under New York program and when not touring can be heard performing all over the city, from Grand Central Station to Lincoln Center.